Refuel with great food & drinks! A generous portion of deep fried Mullins cheese curds served with a choice of dipping sauce $5. Creamy & rich Mozzarella cheese breaded in italian crumbs bursting with sweet basil & tomato flavor, served with marinara sauce $5. Our classic, delicious fries $2.50. Straight cut seasoned sweet potato fries $3. Tender chicken wings served with your choice of dipping sauce $5. Classic egg rolls served with sweet & sour sauce $4. Bite-sized almond breaded duck recommended with our homemade orange sauce or sweet chili $5. Crisp & thickly-cut, these fries provide a perfect golden crunch $3. Thick onion slices, beer-battered & fried $4. Breaded chicken strips gently fried & served with a choice of dipping sauce $5. Whole mushrooms battered to provide a perfect golden crunch $4. Crispy battered green beans with a savory blend of seasonings & spices are sure to make a veggie lover out of everyone $4. Thin-sliced onion strips with a jalapeño batter $4. Build your own basket with your choice of 4 half-portion items above $8. 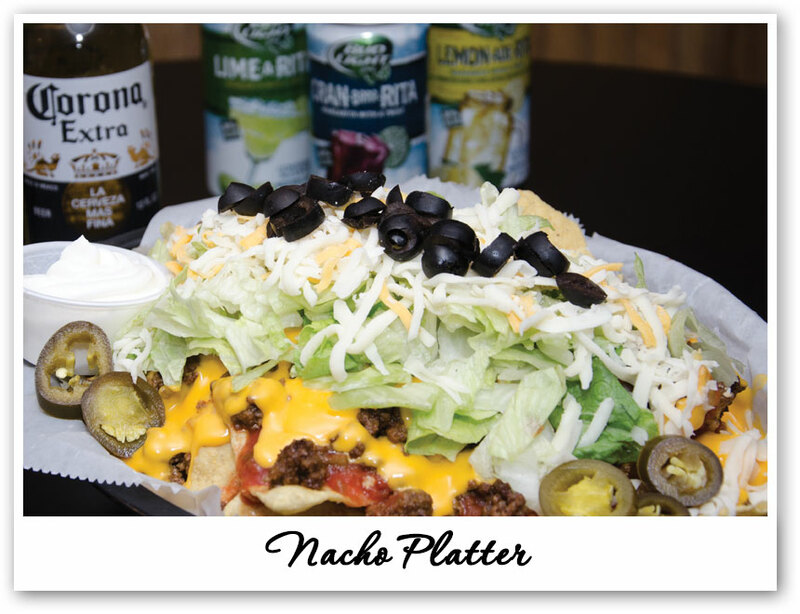 Fresh tortilla chips covered with seasoned beef, cheese sauce, salsa, onions, black olives, shredded lettuce & a blend of shredded cheese. Available on the side: sour cream & jalapeños. French fries smothered with nacho cheese & bacon pieces $5. French fries covered with chili & our three-cheese blend $5.50. A soft pretzel packed with spicy jalapeño cheese. Not for the weak palate $2.75. A hardy hot dog wrapped in corn breading $2. Creamy Kraft mac & cheese $2.50. Taco dip topped with lettuce, tomatoes, black olives, onions, shredded cheese & sour cream served with fresh tortilla chips $6. Caramel or raspberry cheesecake deep-fried & served with vanilla ice cream $3. Boneless wings tossed in orange sauce dusted with seasame seeds, naval orange slices, chow mein noodles & green onions cover our fresh spring greens $9. Our fresh spring greens with strips of white chicken, shredded Parmesan, toasted pine nuts, croutons & classic caesar dressing $9. Fresh greens with sliced tomatoes, onions & cucumbers. Served with your choice of dressing $3. Fresh greens with strips of grilled chicken topped with bacon pieces, onions, tomatoes, green peppers, egg & our blend of cheeses. Served with your choice of dressing $8. 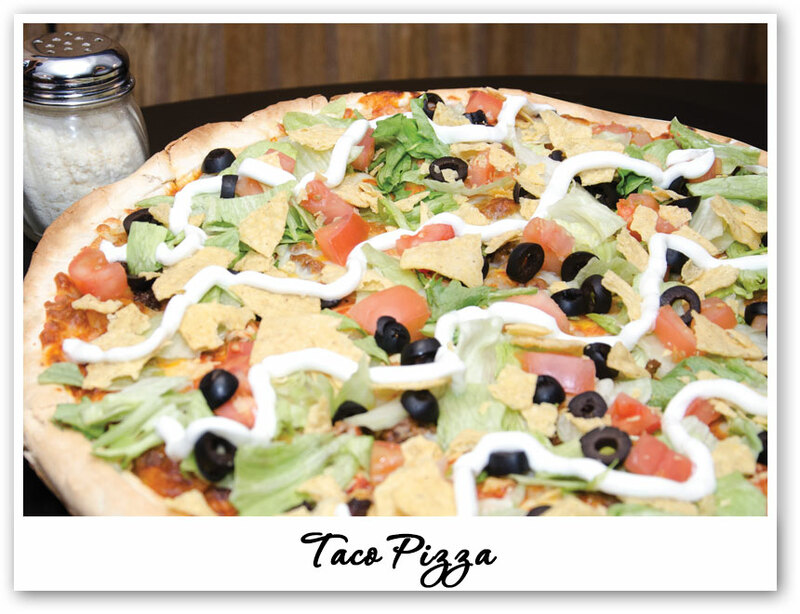 Chopped lettuce mixed together with taco beef, tomatoes, black olives, onions, shredded cheese and tortilla chips! Served with taco sauce or salsa $9. Fresh greens topped with strips of chicken, onions, tomatoes, croutons, cucumber & our blend of cheeses. Served with your choice of dressing $8. Served on a fresh Kaiser or Sourdough bun. Comes with potato chips & pickle spear. Craving some extra kick? Ask us to add some jalapeños! Served on a fresh Kaiser or Sourdough bun. Comes with potato chips & pickle spear. 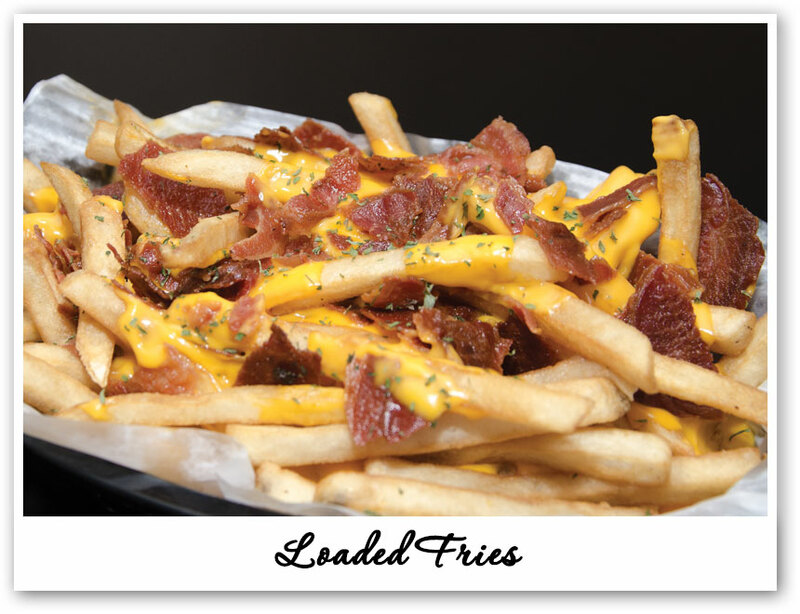 Add bacon for $1, french fries for $1.50, Brew City fries & sweet potato fries for $2. A 5oz. chicken breast grilled to perfection, served on a fresh bun with lettuce & tomato$6. For an extra kick, ask us to add some Cajun spices to awake your taste buds! A 5oz. chicken breast breaded in our own herbs & spices, deep fried to perfection & served on a fresh bun with lettuce & tomato $6. A perfectly grilled chicken breast served with savory thinly-sliced ham, smothered in Swiss cheese & dressed with mayo $6.50. Two 3oz. beer-battered fish fillets served on a hoagie bun with lettuce & cheese $6.50. Savory bacon paired with lettuce, tomato & mayo on toasted white bread $5. A 5oz. chicken breast with pepperoni slices, melted mozzarella cheese covered with seasoned tomato sauce $6.50. 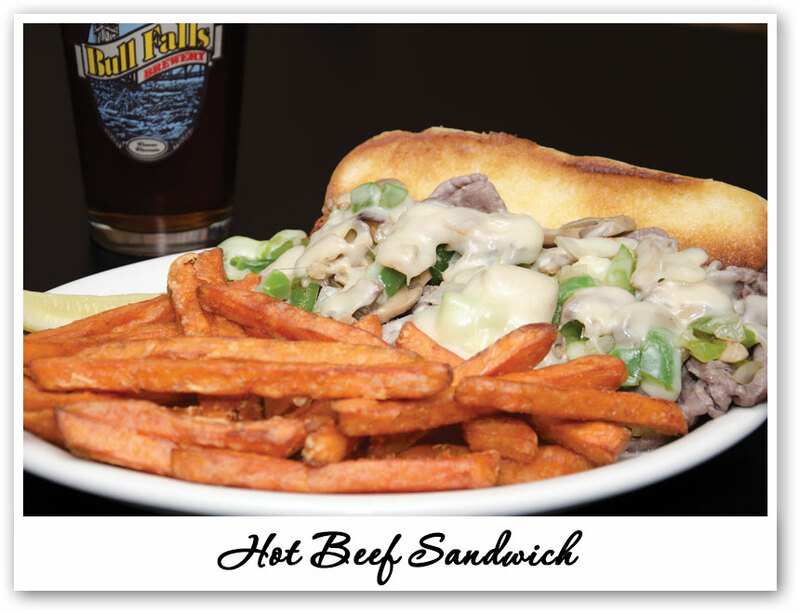 A seasoned black angus steak loaded with fried onions & mushrooms served on a toasted hoagie bun $8. 1⁄4 lb beef hotdog served on a poppy seed bun $4. Make it Chili Cheese or Chicago Style add $1. 10 beer battered shrimp served with fries $6.50. Crisp bacon, lettuce, tomatoes, shredded cheese & dressed with mayo in our soft tortilla $6. Tender strips of grilled chicken wrapped up in a soft tortilla with lettuce, tomatoes & shredded cheese $6. Your choice of Ranch, Buffalo or Southwest style. Add Bacon for $1. Crisp lettuce, tomatoes, onions, green peppers, cucumbers & shredded cheese all wrapped up in our soft tortilla $5. Your choice of thin, medium, or thick crust smothered in tomato sauce & a blend of three cheeses. Own homemade sauce with ground taco meat, onions & a blend of three cheeses, covered in lettuce, tomatoes, black olives, tortilla chips & sour cream. Creamy ranch dressing with grilled chicken, bacon & our three cheese blend. Two toppings included by choice. Pizza sauce with ham, pineapple and our three-cheese blend. 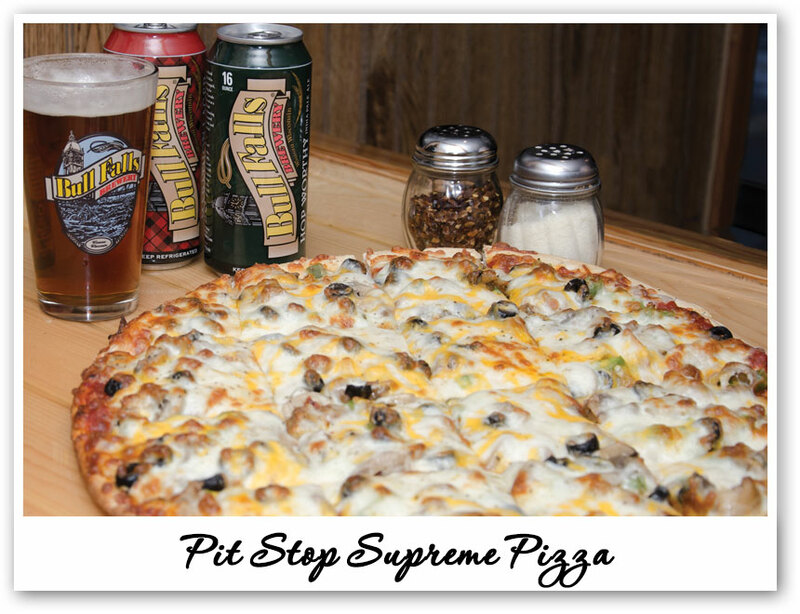 A white sauce with Philly beef, onions, mushrooms & green peppers smothered with our three-cheese blend. 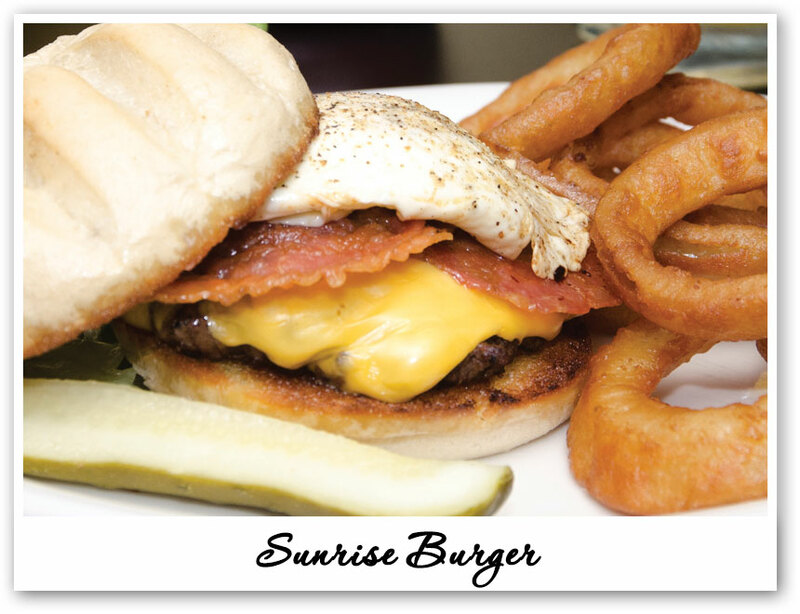 Created in the kitchen by Megan, a specialty sauce topped with ground beef, bacon, onions, blended cheese & yellow mustard. Red hot sauce, grilled chicken, onions & three-cheese blend. How about some extra fire? Add some jalapeños. A cheese sauce combined with Kraft macaroni & our blended cheese makes a real hit for the kids! For the kiddos, ask us to add some hot dog slices to the top, or for the big kids in us try it with bacon! Choice of shrimp or grilled chicken with our rich alfredo sauce covered with our three-cheese blend. Two toppings of your choice upon request. Sweet Baby Ray’s BBQ sauce, grilled chicken & our three-cheese blend. Two toppings of your choice upon request. Created by one of our own, a specialty sauce with bacon, our three-cheese blend, covered with crispy bacon, lettuce & tomatoes. Sausage, pepperoni, Canadian bacon & ground beef. Pizza sauce, blended cheese, onions, mushrooms, green peppers, black olives, tomatoes & green olives. Served with meat, cheese & lettuce. Served with coleslaw, rye bread & choice of potato salad, french fries or our newly added Baby Red Potatoes! Extra Fish or Jumbo Shrimp $1.50 per pc.